Oooo I'm a sucker for a candle... well, really I'm a sucker for anything that smells good - espically for the home. I can't stand the thought of my home smelling and love the way candles fill the whole place with yummy scents and the feeling of calm. Partylite were first introduced to me last year and although I thought they were something new on the block my Mum recently informed me that she used to have Partylite candles back in the day - I was totally unaware that they had been going for so long! The lovely team have scent me over (haha get it? scent... wow, I'm not funny am I?) 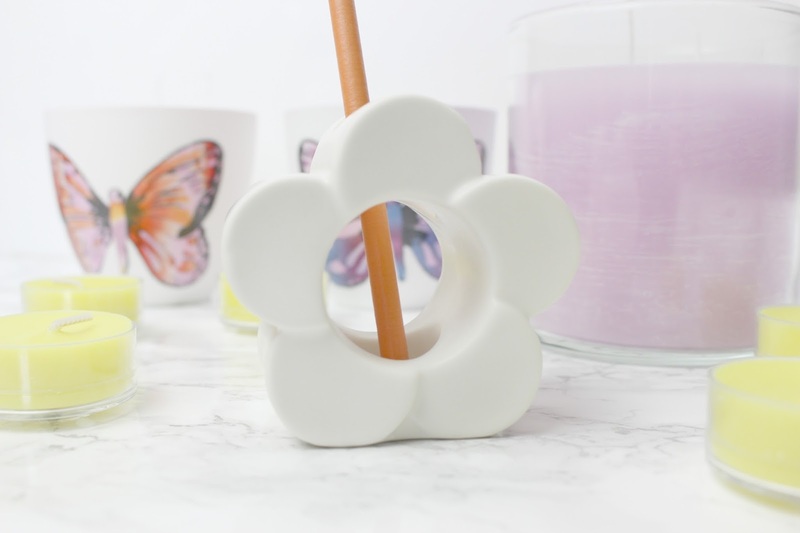 a fabulous ray of new springtime products to try out at home and I have been loving them. I think people believe nowadays direct selling is a thing of the past but with brands like Partylite, MyShowcase and Tropic only getting bigger, I really don't think that is the case! Now lets have a look at these smelly products eh? If you're looking to switch your homewares and accessories over to the Spring/Summer side these little bits are a great place to start. 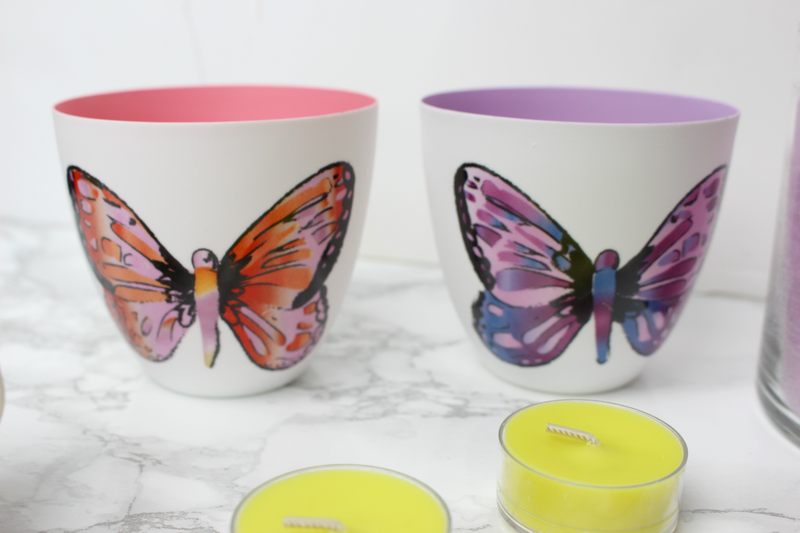 With a gorgeous butterfly designs they make perfect finishing touches to any room - or a great present! With them I have been using the Wild Lemongrass tealights which I was sent alongside them. These smell so fresh and zesty, I'm obsessed - I've even been popping them in my airing cupboard just to keep it smelling clean and fresh. That big old candle in the backdrop is one of Partylite's Glolite candles - the world's brightest candle. Now.... I normally burn candles through the day, it's not often that I have them going whilst all the lights are off in the evening so I am yet to see this in action - although now I'm writing this I'm thinking maybe I'll check it out tonight! The scent with this on is Berry Blossom, and this is actually the second candle I've had with this scent - luckily I LOVE it! I have had this lit in my bedroom and within about 10 minutes you can smell it around my whole flat which is exactly what I want from a candle! Top marks there! It has 2 wicks but it is a large cadle so I think it will last me a long, long while! 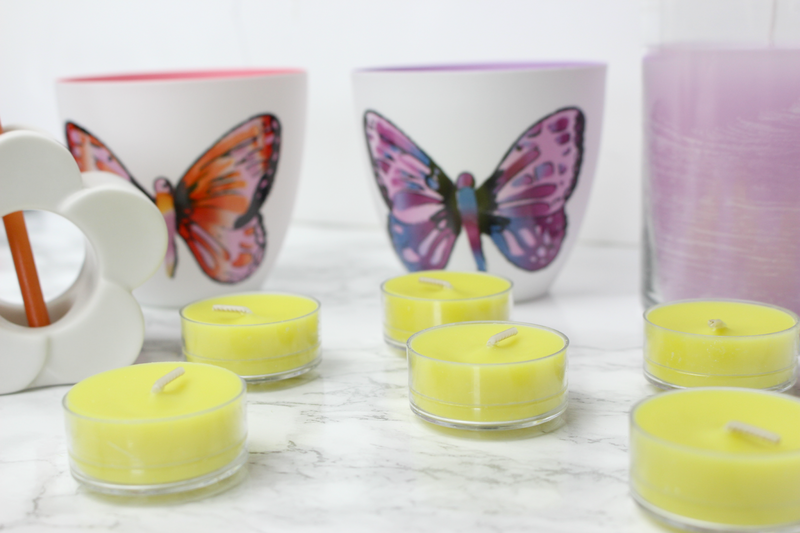 So there is my quick round-up of some of the Spring offerings from Partylite this year - there's so much more on the website too - check it all out here. ive seen a few of these around and they are so adorable! Those Smart Sticks sound fab, they'd be great for landings and other places where it's not practical to have candles. The votive holders are stunning too. I've tried a couple of things from the brand, their stuff is so good!